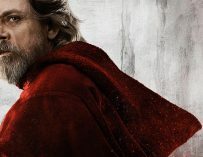 Mark Hamill has admitted that Star Wars: The Last Jedi’s portrayal of Luke Skywalker isn’t his version of the character for George Lucas’ original saga. Before I continue with this article I must implore people not to take what Mark Hamill says here out of context. Star Wars: The Last Jedi has easily been one of the most divisive Star Wars movies ever made and that’s not surprising if you take into account people’s unwillingness to let the past go. Kylo Ren literally says in this movie “let the past die” and that’s what this movie is all about. Part of that Star War history is Mark Hamill. 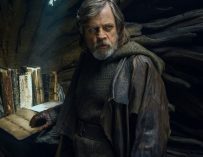 His performance of Luke Skywalker is pivotal in this movie and yet when he first read the script he apparently disagreed with everything that writer/director wrote with regards to his character. This is not really surprising. 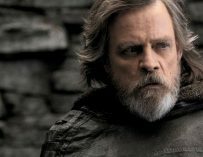 Mark has been used to playing the Luke Skywalker from the original saga yet this version of Luke has lost all hope and has disconnected himself from the Force. 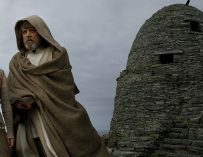 Much of the movie is about Luke’s redemptive story arc and I personally found it to be fascinating. Anyway, let’s move on to what Mark actually said. I’ve heard a lot of people and read a lot of articles that say that Mark Hamill hates Rian Johnson’s movie. Well, that’s just not true. Listen to what he’s actually saying. He didn’t agree to begin with but realised that Rian’s treatment of Luke was vital for the movie as a whole. And it all ended up with Mark delivering his very best performance as Luke Skywalker. Star Wars: The Last Jedi is in cinemas as we speak and warrants repeat viewings.